Watch. This. Drama. Now. I wish I could end this recap right here, but alas there is so much awesome in episode 2 I don’t even know where to start. Now this is what I call finger lickin’ good melodrama! 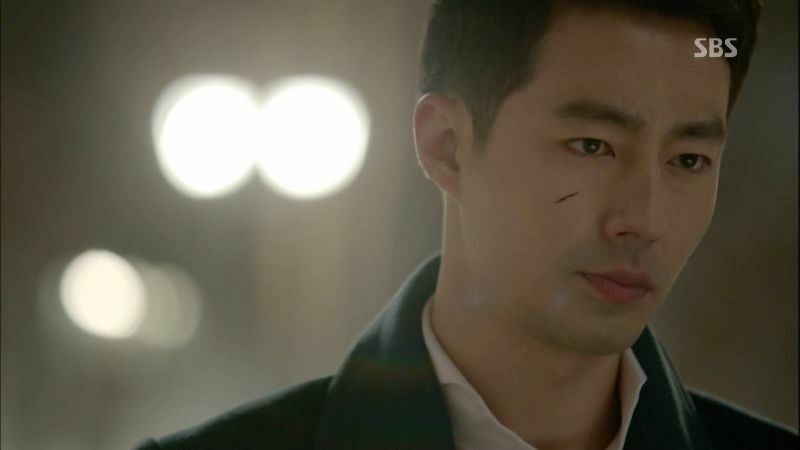 I questioned SBS‘s decision to air two back-to-back episodes of That Winter, The Wind Blows, which was clearly an attempt to get a leg-up on its competition, and the end result is a success in my book. Episode 2 was fantastic, taking a rather decent but uninspiring episode 1 and running with it like a runningback spotting a break and gunning for the end zone. The guy is far from reaching the goal line, but I loved the deft maneuvering to get open. If anyone loved Nice Guy as much as I did, then this is the drama for you to jump on. 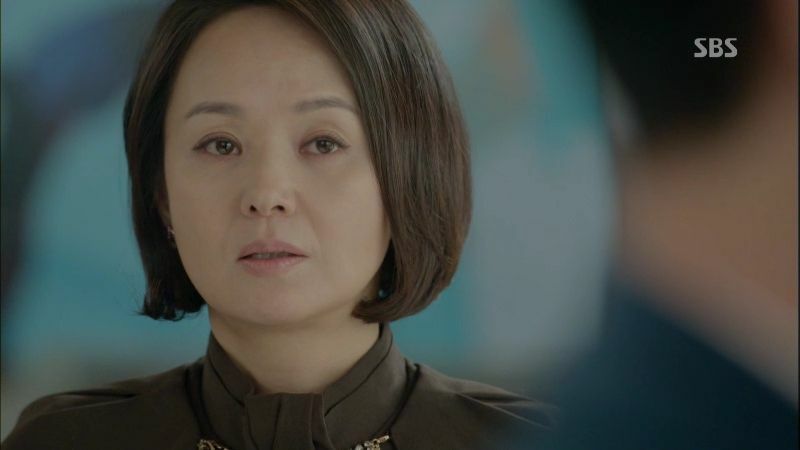 I find Noh Hee Kyung‘s writing more nuanced than Lee Kyung Hee, who excels at the emotional connections like no other, but Noh Hee Kyung puts a little more brainy thought into it. Nice Guy was a marvelous melodrama, hitting all the right buttons for me with some fine acting elevating the material, but at times there were lots of unpaved motivations and narrative leaps. Within 2 episodes of TWTWB, I feel like this story is really well mapped out – the main characters are introduced gradually but effectively in ways that make sense, and the reasoning behind what is happening is logical and believable. Perhaps I’m giving Noh Hee Kyung too much credit, since this is a remake of the 2002 J-dorama Ai Nante Irane Yo, Natsu (I Don’t Need Love, Summer), which was already remade into the 2006 movie Love Me Not with Moon Geun Young and Kim Joo Hyuk. When on starts with a well-formed outline, it’s much easier to trace within the lines. That doesn’t take away how thoughtful the dialogue has been, with flourishes that make me stop and think and details that punctuate a scene with added intensity. I’m already emotionally invested in Oh Young’s struggle in life, pitying Oh Soo’s fate and choices (or lack thereof), and loving how second leads Jin Sung and Hee Sun make up this wonderfully rich trio with Oh Soo to try and keep on living the only way they know how. I’ve actually not watched either of the other two earlier works so I don’t know how those end, nor do I think this will necessarily adhere to the same resolution as before. Whatever TWTWB has up its sleeve, I’m totally committed to following it to the very end. A recap of the sad life of dead other Oh Soo – his mom died 14 years ago and he is the long-estranged son of Chairman Oh of PL Group. He told Jin Sung and Oh Soo but neither believed him back then. Then he got run over by a car. Sigh, it is indeed an sad ending for seemingly nice guy other Oh Soo. The still alive Oh Soo, despite being beaten to a near pulp, is surprisingly quick on the uptake and answers Lawyer Jang’s query about whether he remembers him. 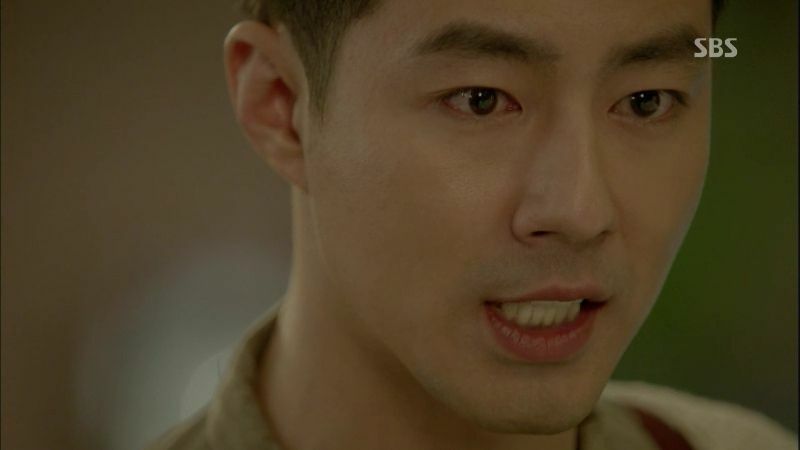 Jin Sung comes home to their rooftop apartment and wonders what happened to beaten up Oh Soo. 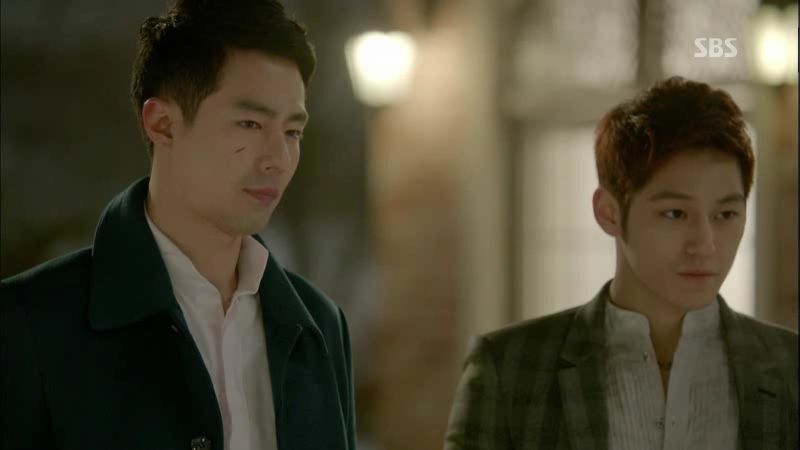 He’s such a protector of his hyung that he immediately questions who Lawyer Jang is and thinks he beat up Oh Soo. Oh Soo quickly shuts him up and hustles him into their apartment, but not before Jin Sung calls him Oh Soo hyung which confirms for Lawyer Jang that he’s got the right guy. Oh Soo shoves Jin Sung into the apartment and goes in after him, telling Lawyer Jang today is not a good time to talk and he’ll call him later. 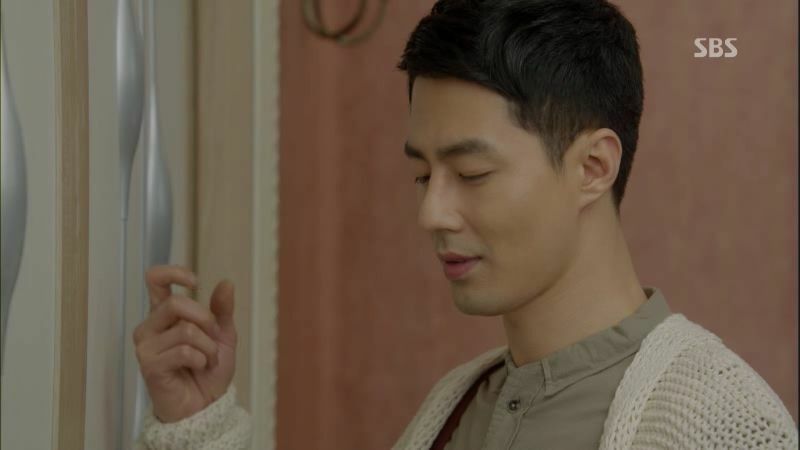 Jin Sung tries to ask questions but Oh Soo cups his mouth inside the apartment to keep him quiet. Let it be said now that I’m totally fine if this drama decides to make these two the OTP. Totally and completely fine with it. Lawyer Jang calls from outside saying the Chairman died a year ago and it took him so long to track down Oh Soo. Chairman Oh had kept some secrets and right now Oh Soo’s only sister is waiting for him. Oh Soo remembers dead other Oh Soo saying his mom told him to protect his sister. 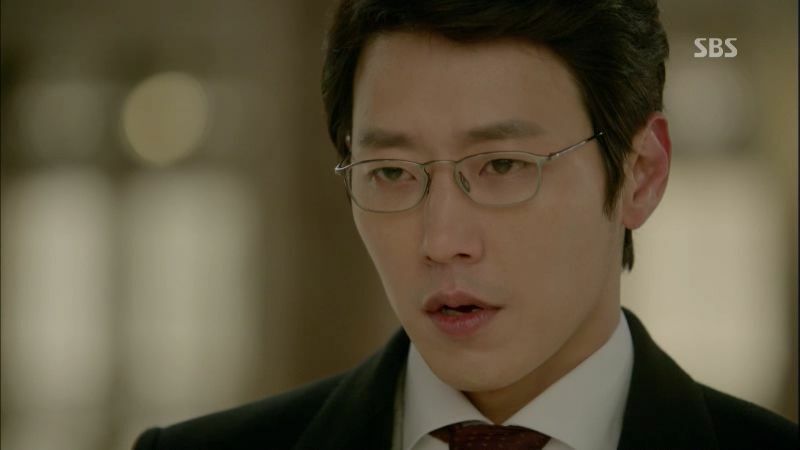 Lawyer Jang says Oh Young is blind and needs him, he’s the only one she can trust. Oh Soo tells him to leave again and Lawyer Jang gets him to promise to call later. After Lawyer Jang leaves, Oh Soo starts ransacking the apartment looking for the box of dead other Oh Soo’s belongings. 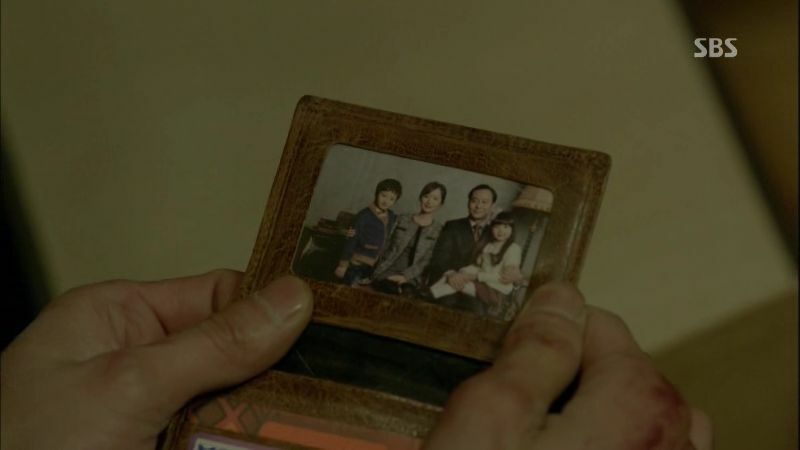 He opens the box and finds Oh Soo’s ID card, and then inside is a family portrait of the Oh family with the kids Oh Soo and Oh Young. 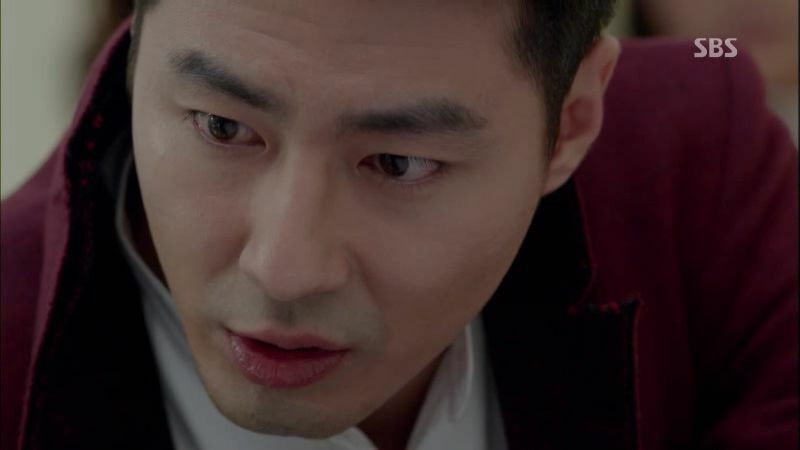 He sees a folder containing newspaper clippings about Chairman Oh, clearly dead other Oh Soo kept tabs on his dad. 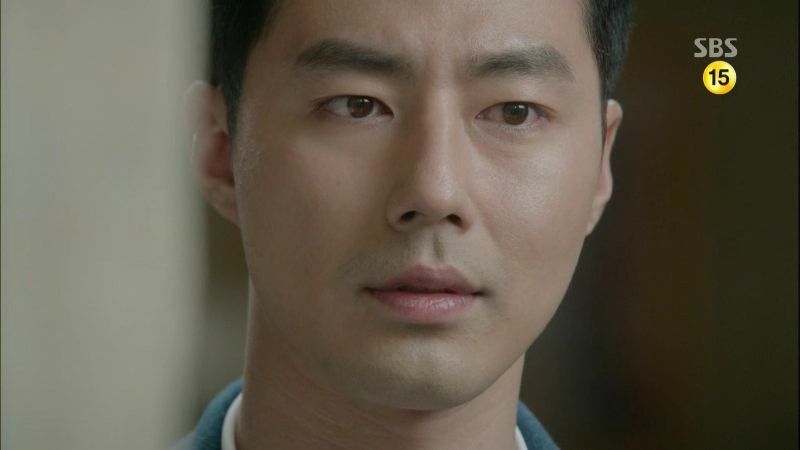 Jin Sung finally realizes dead other Oh Soo really was the son of the Chairman of PL Group. Jin Sung says its sad but dead other Oh Soo is….well…..dead. Oh Soo says no, he didn’t tell Lawyer Jang the other Oh Soo is dead. Jin Sung incredulously asks why? Oh Soo says he doesn’t know why he lied, but he said to Lawyer Jang that he was the other Oh Soo. That shocks Jin Sung so much he shuts up. Oh Soo, seemingly recovered some time later from the beating, goes jogging to brood over his plan. Hee Sun arrives at the rooftop apartment and finds Jin Sung hanging laundry. 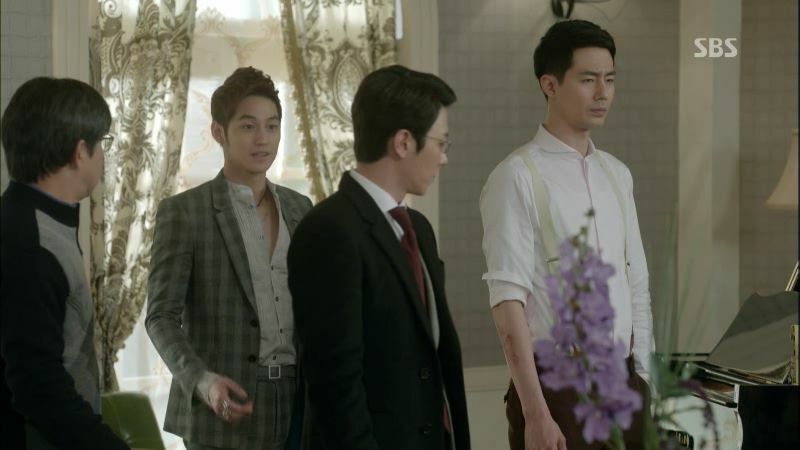 They argue whether Oh Soo should pretend to be the dead brother of a rich girl. Jin Sung doesn’t care that Hee Sun’s older sister died after Oh Soo broke up with her, people break up all the time. Hee Sun tries to slap him but he grabs her arm. She needs to stop annoying Oh Soo. Hee Sun says she’ll go to the cops about the thug threatening Oh Soo if he’s in that much danger he’ll go con a blind girl. When Oh Soo comes home, Jin Sung tattles that Hee Sun is threatening to go to PL Group and expose his plan before he even begun. Jin Sung goes inside and yells at Hee Sun to go ahead and expose Oh Soo, the thug threatening Oh Soo already stabbed and beat him up, and has dirty cops in his pocket. Oh Soo sits down and Hee Sun asks why he lives like this? Is he afraid to die hence he’ll do anything to survive? He’ll lie and cheat and steal? What is his motivation, does he want revenge on his mother? We see teenage Oh Soo being abandoned by his mother yet again. This time she’s dressed like a tramp, who shoved a handful of money in his hands before taking off in a taxi. Teenage Oh Soo cries out that she needs to stop, he won’t ask for money from her or ask that she live with him, but she ignores him and leaves. Oh Soo is tearful and says angrily that he never thinks about her, this woman who abandoned him under a tree and showed up years later to give him 58,000 won and leave. He just wants to live, there is no reason for why. Oh Soo wonders what would have happened to Hee Sun’s sister if she loved Moo Chul instead of Oh Soo back then? Would she still have ended up dead? Oh Soo and Hee Sun look over at the next rooftop where gangster Moo Chul is watching Oh Soo like a hawk to make sure he doesn’t run. Oh Young is jogging while Lawyer Jang informs her and Secretary Wang that he found Oh Soo. He thought she would be happy and if he returns she won’t be lonely anymore. Her dad was very worried about her. Oh Young said if he was, he wouldn’t have divorced her mother. She knows that her dad chose Secretary Wang and broke up her family. Now she doesn’t need her brother either because she has the Secretary Wang her dad picked beside her. Oh Young also says Secretary Wang won’t be happy if her brother returned. Secretary Wang says that is not true and a misunderstanding. Oh Young says to bring her brother in then, if Secretary Wang is fine with him coming home. Oh Soo meets with a guy and exchanges money for a package. He later sits with Jin Sung and Hee Sun and read through the material detailing the Oh family and dead other Oh Soo’s background. Hee Sun is willing to help because she doesn’t think dying because of debt is right. Her assistance includes getting all the old pictures of dead other Oh Soo and photoshopping Oh Soo’s face in. Smart girl! Jin Sung teases Hee Sun about why she’s changed her mind about helping, joking that she can’t fall for hyung because she’s his. Oh Soo goes through the pictures and memorizes who is who. Hee Sun jokes that Oh Soo will finally have a mom now! Meaning Secretary Wang who is like a stepmom to Oh Young and now Oh Soo. Jin Sung, Oh Soo, and Hee Sun drive over to the headquarters of PL Group and gaze up at the wealth that will be Oh Soo’s. They think 7.8 billion won is nothing this place can’t afford. Myung Ho is talking with Secretary Wang about getting a DNA test for this so-called brother but Secretary Wang worries about the test leaking out and rattling the board of directors and shareholders especially at a tenuous time like this. 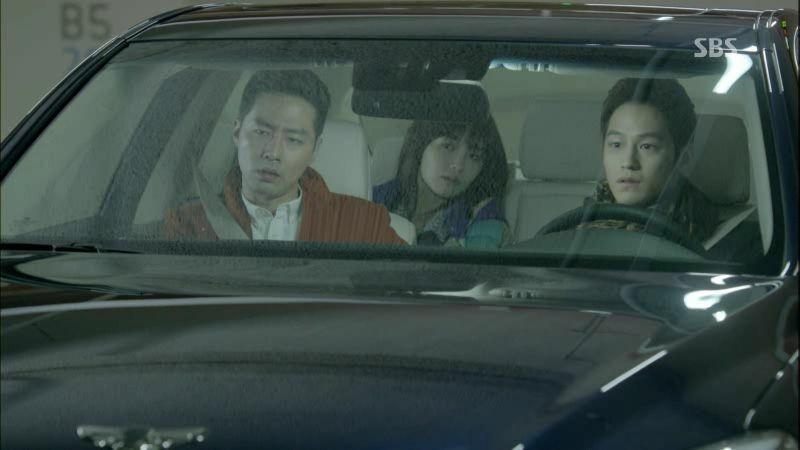 Down in the parking lot, Myung Ho almost gets into an accident with Oh Soo and Jin Sung’s car. They get out to discuss and Oh Soo apologizes and even stops hotheaded Jin Sung from getting mad. After Myung Ho leaves, Jin Sung vows to have this guy fired once they control the company since he looks just like an employee here. Oh Soo says they have to pray they don’t run into this guy in the future. Oh Young is getting ready for bed and Secretary Wang tells her that Oh Soo has contacted Lawyer Jang and will come to the house on Friday for a family reunion. She stares out the window and remembers the parting scene when little Oh Young ran after her brother as their mom took him away. She cried and cried. Oh Soo is at home practicing dead other Oh Soo’s signature. Hee Sun and Jin Sung are discussing how lucky it is that the sister Oh Young is blinded, all the easier for this charade to succeed. Oh Soo confesses that he met Oh Young once last year. The youngsters think its all in the bag – there was no death certificate issued for dead other Oh Soo, they have the guy’s real ID card, they know all about the Italian restaurant and his background. They discuss how he had an aunt that emigrated to New Zealand and shortly afterwards his mother died. Hee Sun says all Oh Soo needs to do to get the money is to make Oh Young really happy. Hee Sun says oppa is really good at that, all he needs to do is smile and use his charm on her. He’s a pro at winning ladies hearts. 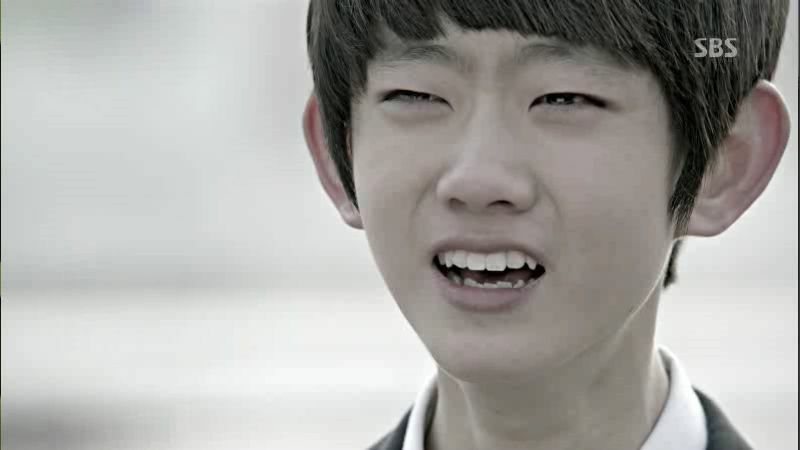 The wrinkle is that blind Oh Young won’t be able to see Oh Soo’s charm. They suddenly remember dead other Oh Soo had a burn on his arm from an accident as a kid. 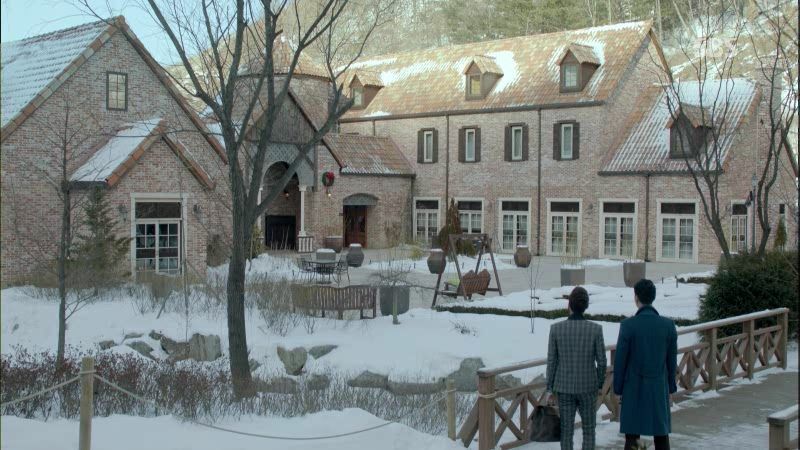 Jin Sung accompanies Oh Soo and they arrive at the Oh estate, with Jin Sung marveling over the wealth of this family. He thinks they have more than enough to pay off Oh Soo’s debt, and even have money to help Jing Sung’s dad. They enter the house and Jin Sung sits down while Oh Soo looks around the room. Oh Young’s assistant and friend Son Mi Ra greets Oh Soo. 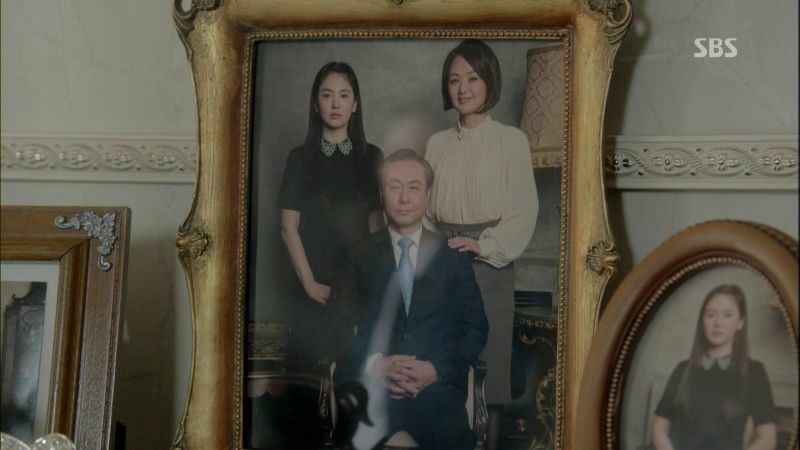 Oh Soo snarks that a portrait with Oh Young, the Chairman, and Secretary Wang makes it seem like she’s the lady of the house. Secretary Wang says it may not legally be, but the Chairman thought of her that way. Myung Ho arrives and is told to greet Oh Young’s older brother. They recognize each other from the parking lot almost accident. Oh Soo takes the initiative and admits they met before, claiming he visits the company when he misses the Chairman. Oh Soo points out this place has changed some, like the wall has been repainted and the curtains are not his mom’s favorite colors anymore. Secretary Wang says things get old and need to be replaced. Oh Soo asks if she’s trying to erase all vestiges of his mother? 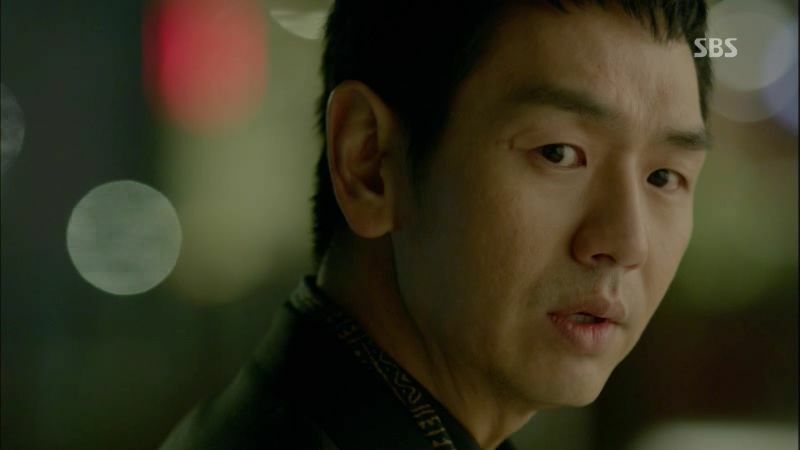 Myung Ho tries to confirm Oh Soo’s identity and asks to see his burn scar. Oh Soo doesn’t think that is necessary since its such a painful memory. Oh Soo refuses to show the scar, but then later Jin Sung stages a water accident and gets Oh Soo to take off his jacket and rolls up his sleeves to reveal the burn scar. Turns out Oh Soo burned himself deliberately with hot water to get the same scar. Hhhmmm, people can’t tell between a fresh burn and a 20 year old burn scar? Weird. Oh Soo takes out a piano counter that he got from dead other Oh Soo’s belongings and puts it on the piano, starting to play. Oh Young walks down the stairs and demands to know why he’s here now when he didn’t show up when she was looking for him? She reveals that on the day her dad died, she got a letter from Oh Soo and went to look for him. Secretary Wang reveals it was the Chairman’s orders to keep those letters from Oh Young. Oh Young said she told that guy to tell Oh Soo that their dad was on his deathbed and to come see him. Clearly he’s only here now for the inheritance. Jin Sung steps forward and said Oh Soo was never told the Chairman was dying. Oh Young says Oh Soo must think she’s an easy target and wants money now. She orders Lawyer Jang to read the will and it says all the money goes to Oh Young and Oh Soo doesn’t get a penny unless Oh Young agrees. Oh Young walks outside and Oh Soo chases after her asking to talk. She turns and strikes him with her cane, cutting him across the cheek. She tells him to take whatever he wants and leave, though it may not be as easy as he thinks. Oh Soo says that he’ll take what she just said as confirmation that she missed him. Oh Soo informs the group that he’s staying. Initially he wanted to check on her and leave for Italy. But seeing her current state, he wonders how a happy child turned into such a state? He wants to find out the reason and Lawyer Jang appears to be the only one happy to hear this. Oh Soo says he’ll put his business affairs on hold for the next 3 months and live here. Only Oh Young’s friend is thrilled with this development. Oh Soo and Jin Sung drive off, with Jin Sung telling his hyung how cool he was back there. 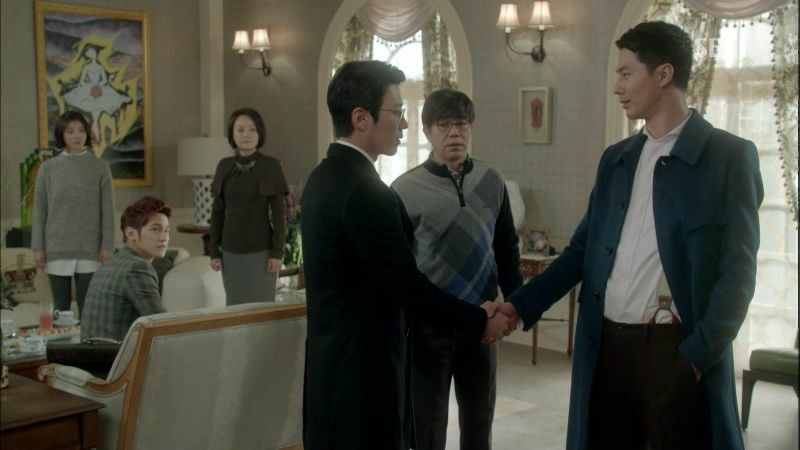 Afterwards, Myung Ho asks Lawyer Jang if he’s sure of Oh Soo’s identity. Wasn’t he beaten up the day Lawyer Jang found him? How does a restaurant owner get beaten up? Lawyer Jang says it was a fight with a drunk customer. Myung Ho gets a call that Oh Soo did run an Italian restaurant like he claimed. 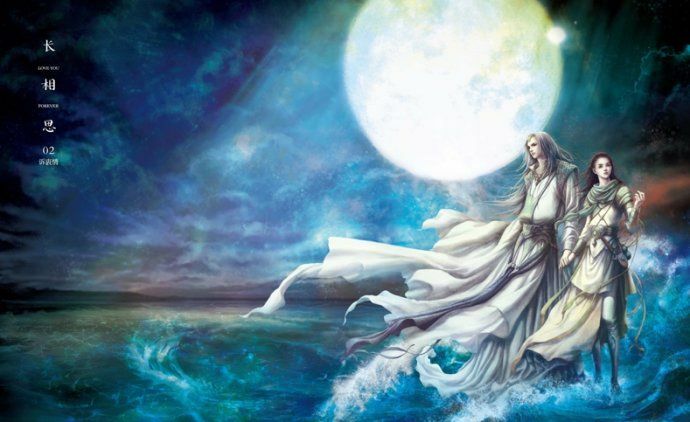 On the drive home, Jin Sung wonders why those people were so wary and guarded against him, and why all the inheritance was left to Oh Young. Hee Sun is taking with Moo Chul who wants her to go back to the countryside and stop hanging around Oh Soo. Hee Sun says Oh Soo will be fine because he’s now the son of the dead Chairman of PL Group. Oh Soo and Jin Sung arrive the next day to move him into the house. Oh Young refuses to come down for breakfast for Oh Soo goes to knock on her door. He keeps knocking and calling her “Young-ah” and telling her to come out. She purposely leaves the room open a crack for him to see her inside. During dinner, Oh Young once again refuses to join and Oh Soo hears she’s at the swimming pool. He goes to see her and Jin Sung follows. 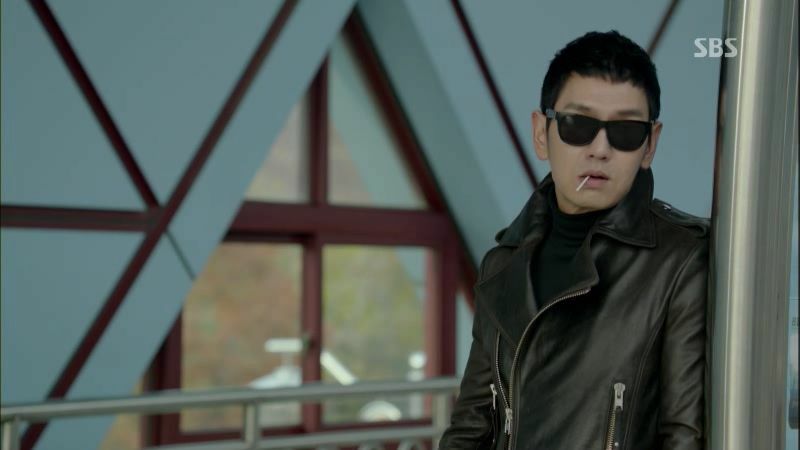 Outside the house, Jin Sung warns Oh Soo that things aren’t going as planned – since Oh Young has inherited everything, he needs her consent to get money. That means Oh Soo needs to be a very gentle oppa to her. Oh Soo says he knows that rich girls are coddled and spoiled by their families, so he needs to treat her poorly and that will get through to her. Jin Sung reminds him that Oh Young is his pretend sister, not female target. Jin Sung has a real sister and Oh Soo cannot treat Oh Young that way. Oh Soo laughs to remember that Oh Young is supposed to be his sister. Oh Soo sits down next to the pool and waits until Oh Young finishes swimming. She gets out and puts on a robe. 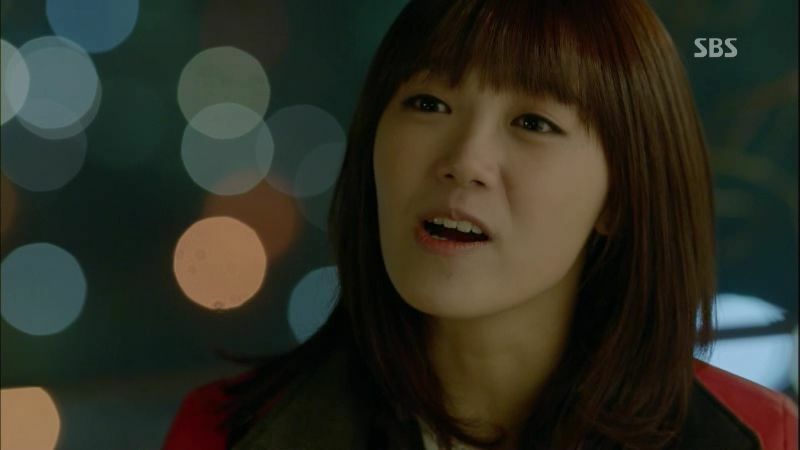 Oh Soo is disappointed that she’s not the Oh Young he remembered – she’s so ill-mannered, is it because she’s wealthy? Is this the way to treat the brother she hasn’t seen in 21 years? After their mom died 14 years ago, he raised himself and turned out okay. What about her? Oh Young says nothing and endures his criticism. Oh Soo asks why she keeps talking about money, is it because it so important to her? It doesn’t matter that their dad left everything to Oh Young, he can get his half if he sued for it. But he won’t. He’ll be here for the next three months. 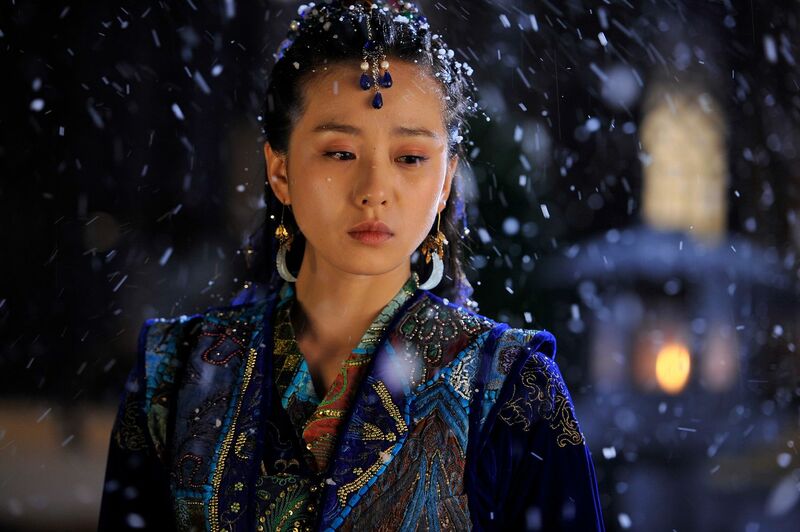 Oh Young turns the tables and asks him why he only has criticism of her, the sister he hasn’t seen since he was six. His only sister ended up like this, and he doesn’t wonder why? Why does he bring up the inheritance when he should be asking how she’s doing? He should be asking how hard and sad it’s been for her? She didn’t hope he could be understanding, but she can’t believe he’s like this. Jin Sung sits with Hee Sun in the coffee shop discussing how Oh Soo was schooled that day by Oh Young, and since then she’s refused to see him. Hee Sun works there while Jin Sung made plans to meet with Oh Young’s friend to create the opportunity for Oh Soo to meet with Oh Young. 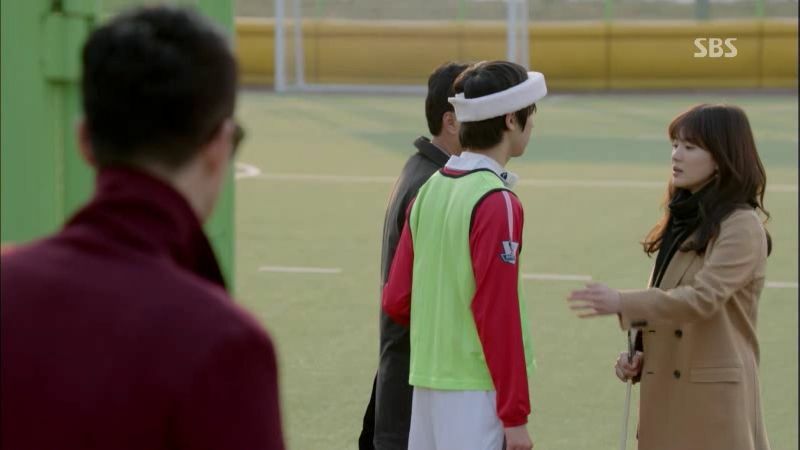 Oh Soo tracks down Oh Young at an intramural game for disabled kids. She’s coaching and offering support to a child with visual impairment. She schools on particular kid about admitting his limitations and accepting help from his teammates. Oh Young heads to the mall later with her friend who is called away and asks Oh Young to wait for her. The friend tells Oh Soo that Oh Young is ready for him to go and make up with her. While Oh Young is waiting, two small bickering kids bump into her and she drops her coffee and cane. Oh Young looks for her cane and the two moms of those horrible kids tell her to stay home if she’s blind and upset she dared to hold a cup of coffee. Oh Young gets up and tries to walk away without assistance, and she falls into a shallow wading pool. Everyone crowds around her to witness the spectacle and she’s so frantic to escape. Oh Soo arrives and steps into the pool, announcing that she is his sister. Oh Soo chastises Oh Young for telling that disabled kid to open his heart and accept help when playing a game, so why does she refuse other’s help? Does she want to push his assistance aside even now? He tells her not to be rattled but to stand up straight and proud and walk out of here. Oh Soo helps her up and leads her out of there, tell the gathered folks that his sister is visually impaired. Moo Chul is there keeping tabs on this development. Oh Soo sits outside with Oh Young and tidies her up. He gets a text from Moo Chul asking if it’s true he has a rich sister and it’s the girl sitting next to him. Moo Chul can tell Oh Soo must frantic to get money if he’s resorted to swindling. He asks if she’ll really give him the money that easily? What if she dies? Oh Soo and Oh Young wait for the coming subway. Oh Young suddenly tells Oh Soo that if he’s here for money, there is a easy way for him to get it. He just needs to push her into the subway track right now. Oh Young steps forward and Oh Soo reaches out to grab her. Wow. I was not expecting that episode ending scene, which expertly cut away literally in mid-movement when Oh Soo lurches forward. Brilliantly done, though if Oh Young really were smushed by a subway this drama would end at episode 3 but its schedule for a 16-episode run so we knew she’s getting some Oh Soo grabbing soon. I love how layered this story is unfolding. Oh Soo is an inveterate gambler and womanizer, but he doesn’t set out to con Oh Young. He was pushed into a corner, set up by a crazy ex-girlfriend, and the perfect opportunity dropped right into his lap. I was really sad other Oh Soo had to die, because I enjoyed his character and he added depth to the friendship of Oh Soo and Jin Sung. What makes Oh Soo flawed but not evil is that he doesn’t appear to enjoy the con. Some swindlers relish the thrill of the game, but Oh Soo is doing it to survive. One can say once the con started, his motivations towards Oh Young are way more transparent than the other people around her. Oh Young calls him out for coming back because of money. Once she’s pinned that on him, he sorta has nowhere to go but up in her esteem. It’s clear that from their first meeting when he was himself and read her the letter, she intrigued him and there was something sparking between them already. I’m not necessarily all that shipping them as a couple, but I can see where they would draw each other out. It’s easy to write this story as a hopeless man who wants to live meets a hopeful woman who wants to die, or some pithy blurb like that. But there is so much I glimpse in the potential to take us on a journey exploring how broken and battered souls choose to live the life they are given. I’ve enjoyed hearing Oh Soo’s philosophy – that he doesn’t need a valid reason to justify why he desires to live. He’s right, except he has been living a life that is unfulfilling and rather meaningless. He has a right to live that way, but I see in him a desire to have more emotional nourishment. Oh Young may be rich but her world is dreadful, a prison where her lack of sight binds her to the four corners of her home and limited social existence, and she’s surrounded by people she cannot trust. I’m hoping there is more to Secretary Wang than simply evil stepmom interloper who wants the fortune. The way she coldly let the Chairman’s health crisis go answered ought to be enough to convince me that she’s all bad, but my gut tells me there is more to the story than meets the eye. I can’t figure out why the Chairman would let his ex-wife take his son and eldest child in the divorce. With his money, he has more than enough to raise both kids and clout to win custody of them as well. 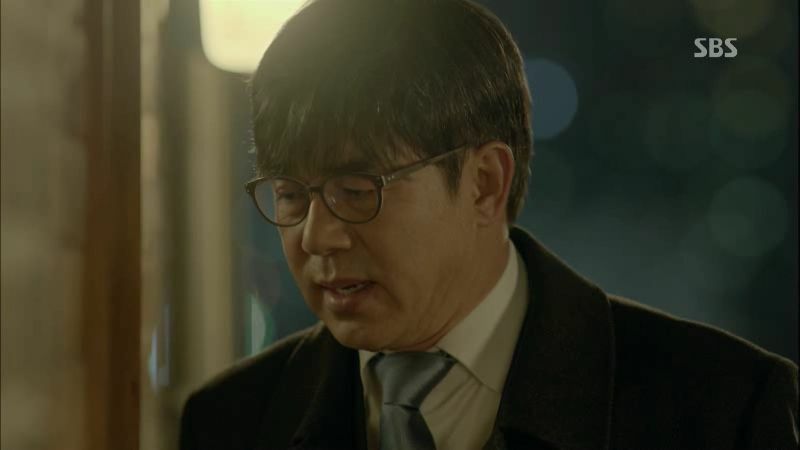 I’m also unsure of Lawyer Jang’s true intentions – is he serving the dead Chairman’s wishes to bring Oh Soo back, does he support Oh Young, or does he have his own interest to advance through all of this? I’m finding this drama really enchantingly beautiful to watch, but the OST is thus far really overwrought. I wish the music director would calm the heck down and stop blaring the overly obvious music at every turn. 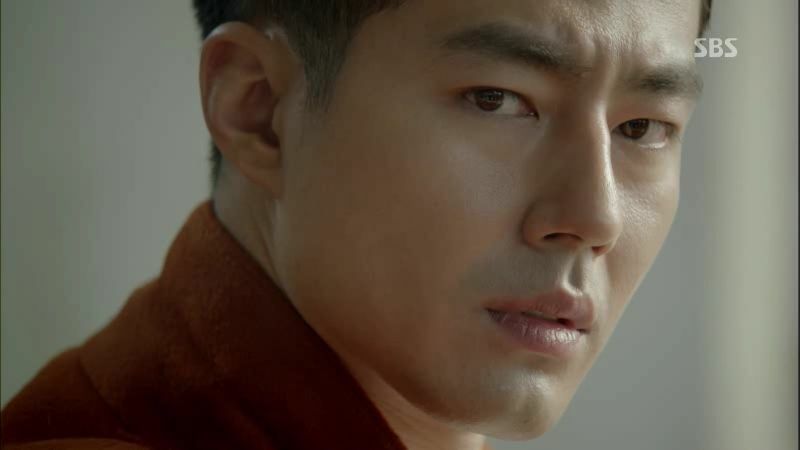 The PD does a great job of inter-cutting the close ups and the wide angle shots, allowing the camera to lovingly capture Jo In Sung‘s torment, Song Hye Kyo‘s isolation, Kim Bum‘s adoration, and Jung Eun Ji‘s frustration. the four leads have great chemistry with each other, and right now of all the various pairings, it’s actually Song Hye Kyo and Jo In Sung that doesn’t quite rise to the level I’m looking for. The potential is there, but they haven’t quite clicked just yet. I’m betting it’ll happen in episode 3 as their characters spend more time together, because this story of an unexpected love blossoming between two unhappy people who can’t technically fall in love is pretty heady stuff. I don’t necessarily think it’ll be romantic, but it ought to be very passionate should it start to take root. 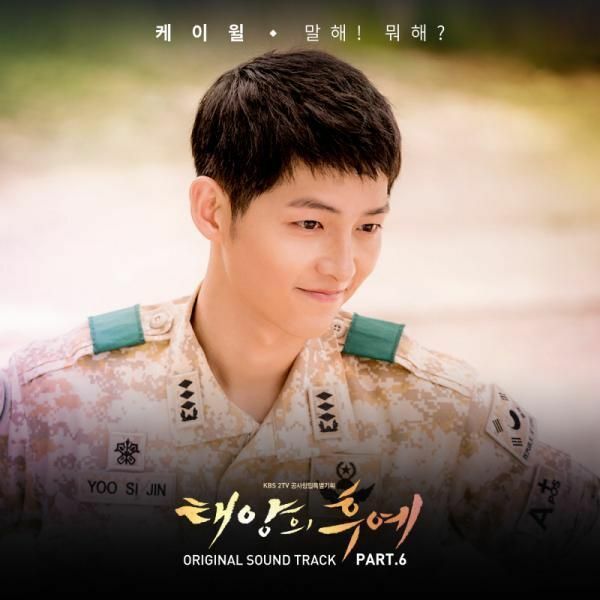 As Oh Soo sees in Oh Young this woman who has everything but then nothing at all, he might take a good look at his own empty heart and wish to give her something to fill hers. And along the way, he discovers that he actually has a heart and wants to use it. 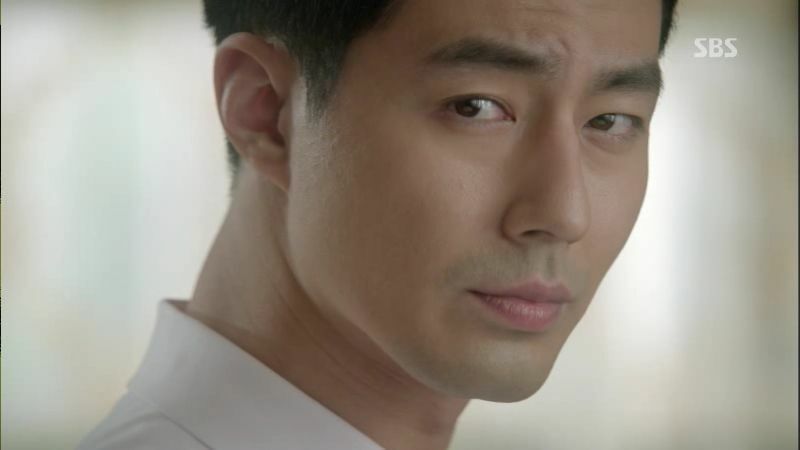 This drama is shaping up to be worthy of Jo In Sung’s return to dramas after a 8-year absence. Miss K…., I am so happy that you decided to recap this awesome drama. I am hooked after eps 2. And love the acting too…., hopefully its rating also climbs up. Thank You Thank You I am in Love with this drama already, Haven’t felt like this since Nice Guy. 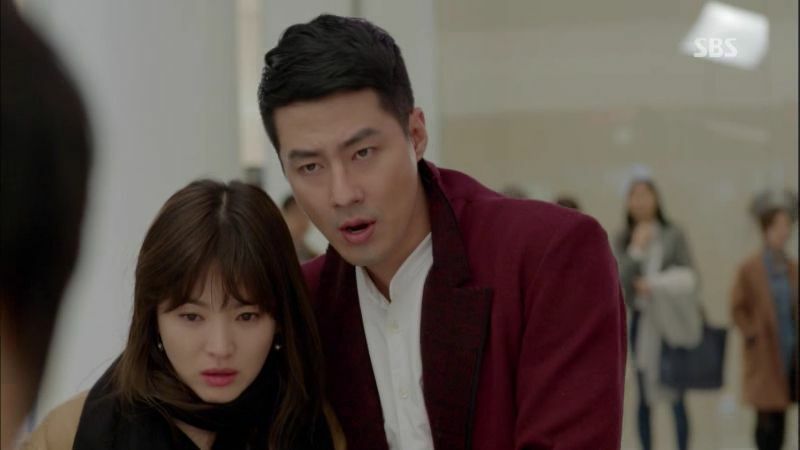 Jo In Sung and Song Hye Kyo are both gorgeous to look at and I have a feeling their chemistry is going to be good. I sometimes wonder if she knows that he’s a fake, but not saying it. For a woman that’s blind and can follow after footsteps, you would think that she’ll remember his voice, the voice of someone who has the same name as her brother and had read a letter to her.. especially when it’s the only letter she’s ever seen from her brother and it’s also during a traumatic time in her life (the day her father died). For a blind girl or near blind girl, I would think her auditory skills would be extremely heightened and used to connect herself with the world around her. But maybe I’m thinking a little too much into it. She does meet a lot of people in her life (if she’s the CEO) so she’s probably heard many different voices and never bothered to remember them (but if that’s the case, that is a great disadvantage to one who doesn’t trust people). Maybe I’m being obtuse, but I thought she thought that JIS just pretended not to be her brother when she came to his apartment? Like he was trying to get away from her? But that could be completely wrong – I watched the first 2 episodes pretty late at night. Really? That could be, and would make his story even stronger in her eyes. I agree that a blind person would have a stronger imprint of a person’s voice, but memories are funny things. While trauma usually burns certain memories into brain, it also blurs the surrounding ones. Meaning, she prolly will never forget the sounds and smells of everything that happened when she heard the news of her father’s demise, but it may eclipse the conversations before and after. I agree with you for the most part, except unlike you, I feel the real chemistry between the two main leads. Thanks for your recap! By the way, I don’t think you gave Noh Hee Kyung too much credit. She deserves your praise. The cinematography is just breathtakingly beautiful. Pair that up with gorgeous actors and omg its heaven. 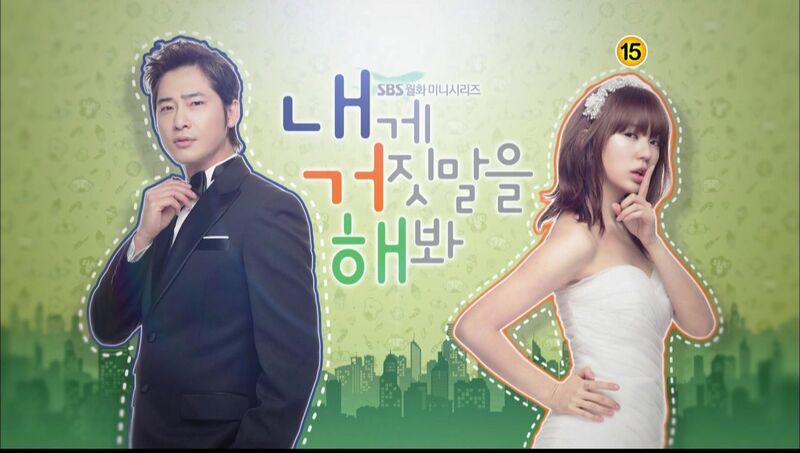 <3 Ive fallen in love with this drama and I hope its ratings will climb up~ cant wait for the next episode! Thank goodness this came out,, just in time for Flower Boy Next Door's upcoming end. Interesting. I wasn’t going to watch this because I am just not a melo fan, but I think Miss Koala has me convinced after reading just the beginning of the review. I’ll at least give the first two eps a go. Thanks! This is why I read recaps! Thanks for the two quick recaps! Watched the first two back to back fully subbed and I am sold!! It’s pretty, and THEY are pretty. I actually shyly smiled back at Bummie at one point before I realized he actually wasn’t looking at me…He is that adorable!! Agree on the music, though, and I may be getting weary of the heavy make-up and use of Gaussian blur soon enough, but for now the characters emotions don’t seemed dimmed by these effects. The DNA elephant in the room has been clumsily swept under the rug for now, but I really hope Team FauxBro gets to drag it out and make it disappear soon. All they need is a quick drama-swap for a piece of hair from an old True Soo hair brush, and voila- credibility restored! The burn trick was pretty awesome, so I know they are capable of more sleight of hand. SHG’s teary but devoid-of-real-emotion delivery works for where the character is right now. Similar to in the AimH role, everything is spoken as if all hope has left the world and she is resigned to face bleakitude of unsurpassed proportions. Fine, but it gets boring fast, no matter how gorgeous her teary eyes are. As far as story and characters, I love it. As you said, they are saying things that make me think a little. They are having conversations that I cannot predict. I also cannot immediately guess what everyone’s motivations are. FAVORITE side and spoiler character is Moo Chul. He is going to be wonderful to fear and learn about. Kim Tae Woo was in one of my all time favorite K-films, JSA, back in 2000. I like seeing him here. I like the connection between OY and OS because even though FauxBro is not the PERSON she thinks he is, they share similarly sad and lonely childhoods. Of course the big question that will SHOCK everyone later is who OS’s read Dad is. My money’s on someone close to the dead Chairman. I dont feel like watching melodrama again after nice guy… and im still in flower boy next door mode and wont ruin it… for now i will enjoy and congent with reading ur recap… thanks the recap koala!! 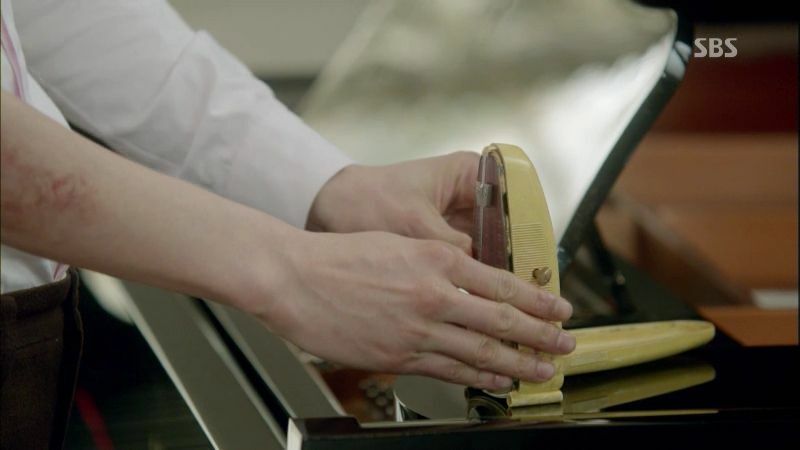 “piano counter”….. perhaps “metronome” is the word you’re looking for? 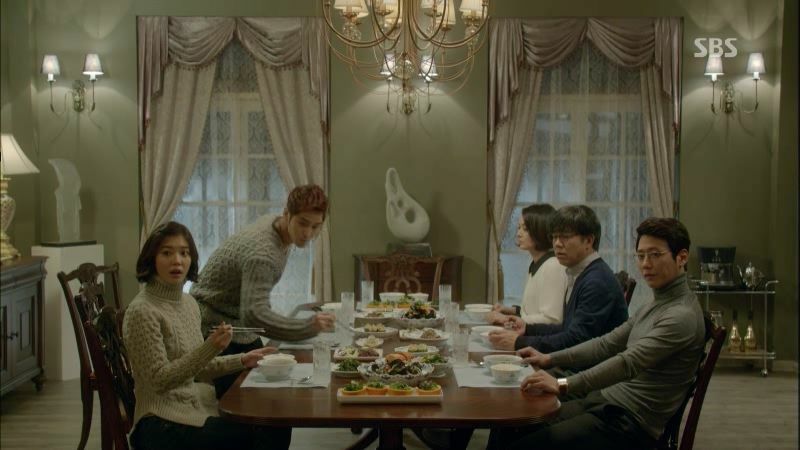 I really love this drama thanks for the recap. 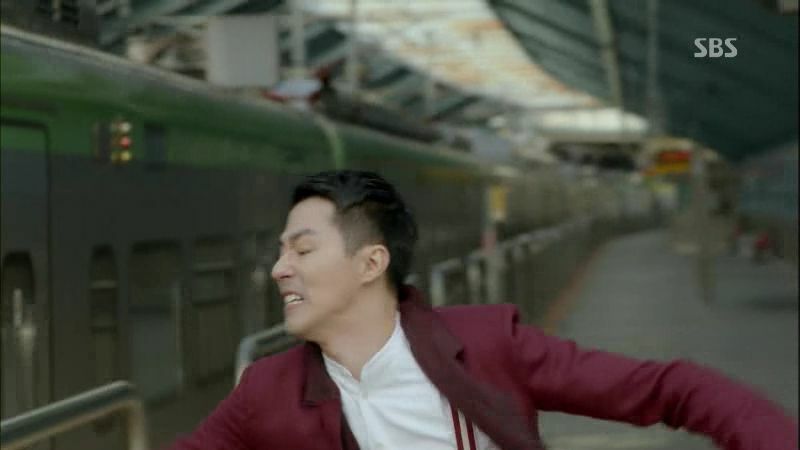 How I my going to survive till next week?….Jo In Sung!!!!!!!!!!!!!!!!!! the man is gorgeousness personified!!!!! I really love it, i don’t even need to take a look at Iris, or Level 7. 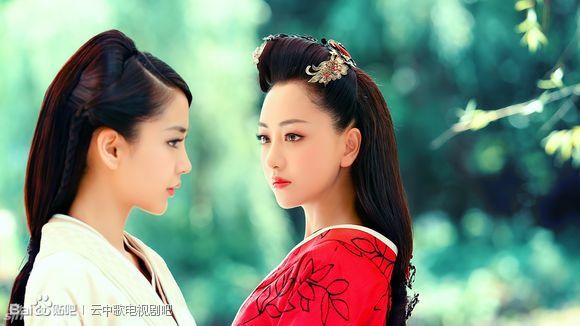 This drama is the one i will follow. So, no one’s going to do a DNA test? Weird. I’m not really gd with names but I’m pretty sure she is yoon jae from full house 2004 omg she has really grownup but her acting is striping love it and mostly the lead men omooooo I could watch them the entire time!!!!! But how the he’ll there will be no DNA test that is so childish !! oh, shk so beautiful. i loke her so much. but but, the content of this drama’s so sad and similar with a lot of drama before. i can’t guess the continious content, keke, it didn’t make me curious such as Nice guy.